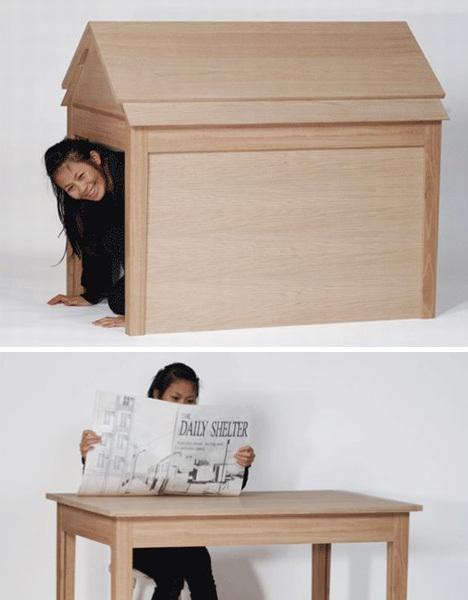 In increasingly small urban apartments where every inch counts, a piece of furniture that transforms from a coffee table to a dining table in seconds, hides a lot of storage or folds up to just one inch thick can open up a lot of usable space. 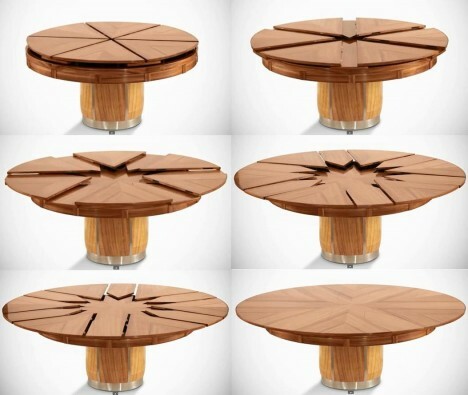 These transforming table designs completely rethink the simple surface, sometimes using complex engineering to expand and contract. 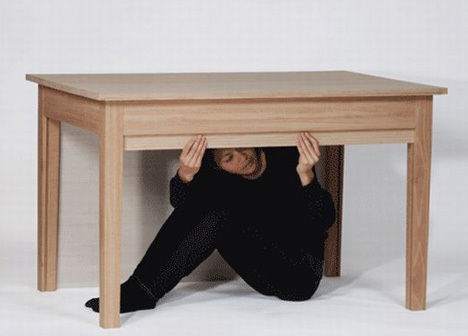 Anyone with a tiny studio apartment can appreciate the convenience of a piece of furniture that functions as a coffee table for most of the day, but raises up to dining level when needed. 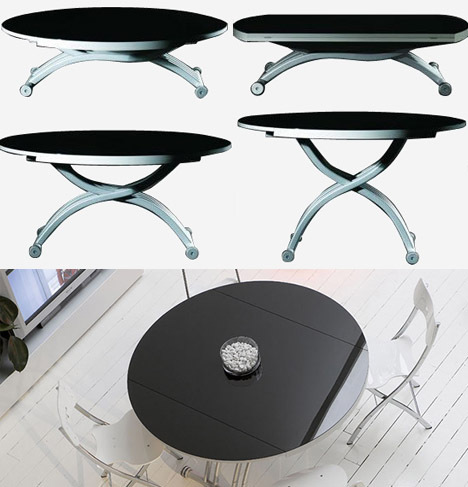 These two convertible tables by Ozzio look clean and modern, have adjustable heights and come in various colors and sizes for maximum adaptability. 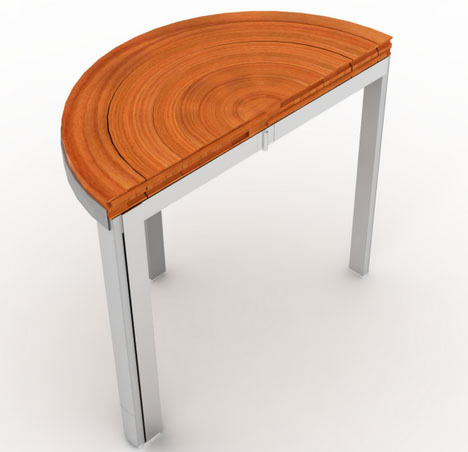 A table that resembles the cross-section of a tree trunk when compact and placed against a wall opens up to become fully round, a third leg swinging to the side to offer support. 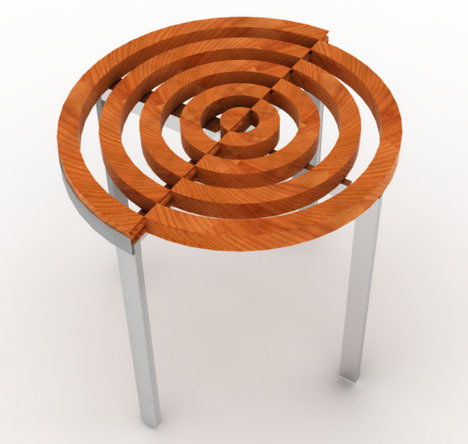 Designer Isariya Boon took inspiration from onion rings to create this hardwood and steel table with multiple personalities. 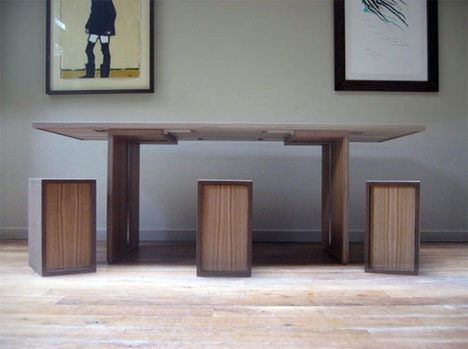 The wooden casing of the Flip coffee table opens up to become a three-sided dining table, the storage underneath transforming into six stools. 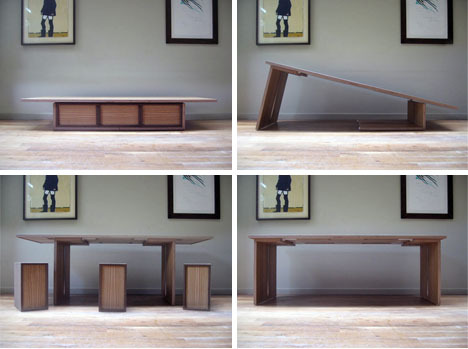 Is this the world’s most highly-engineered dining table? The Fletcher Capstan features six wedge-shaped leaves that pull back to reveal a star shape that grows as the table expands from about 6.5 feet across to a maximum width of 30 feet. 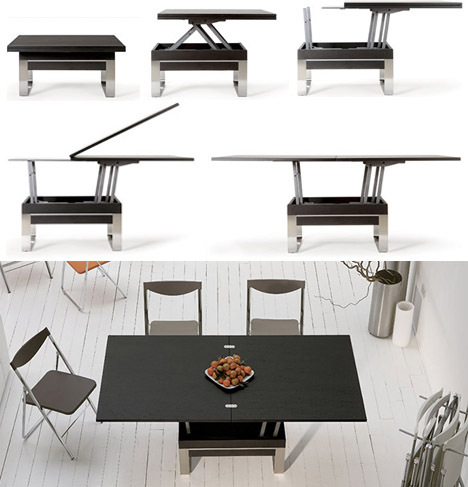 The process of transforming it is almost like a performance as the table opens to show off its inner components.